Mini Spike Spot and Pond Light luminaires are mid-size spotlights with a swivel bracket that provides 90’ elevation adjustment. The Pondlight has a weighted base and is designed to be installed underwater. 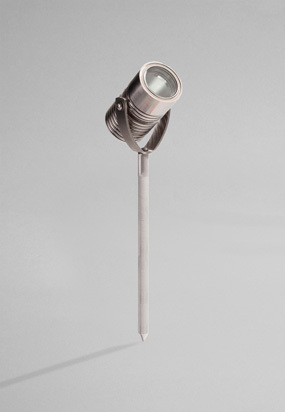 The Spot can be screw mounted to any hard surface and the Spike is designed to be inserted directly into the ground.